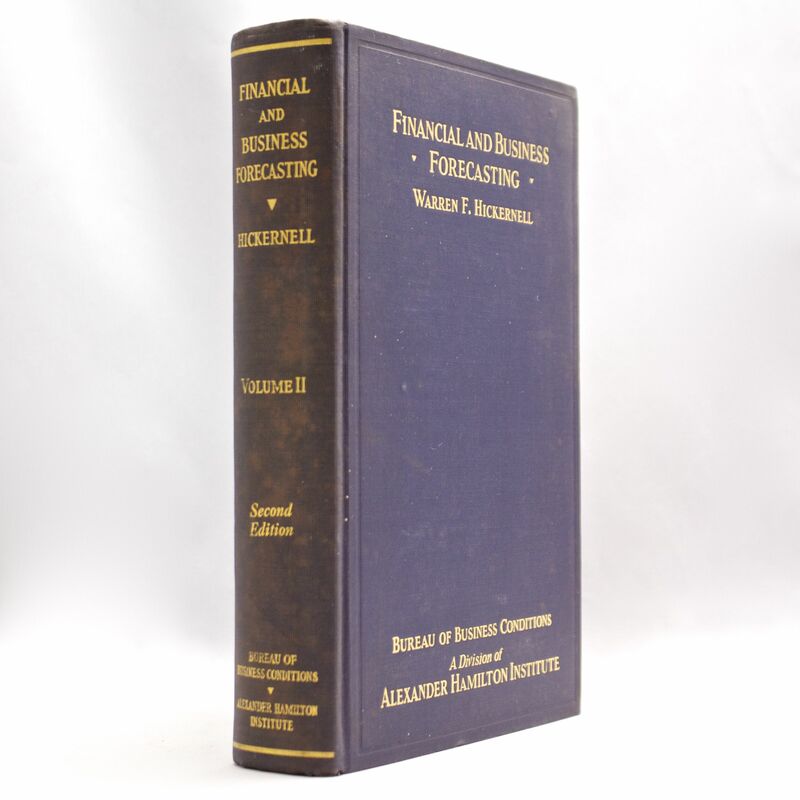 Financial and Business Forecasting. 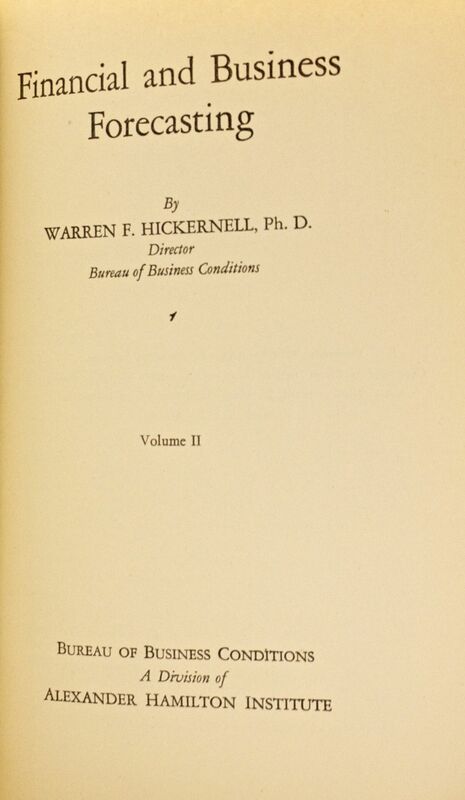 Vol II - IFA Vintage and Current Book Library - Index Fund Advisors, Inc.
A beautiful set of Hickernell's most important and comprehensive work. Not to be confused with the common title published in a softcover in 1931. There are only a few copies online starting at $400 which are all ex-lib copies.